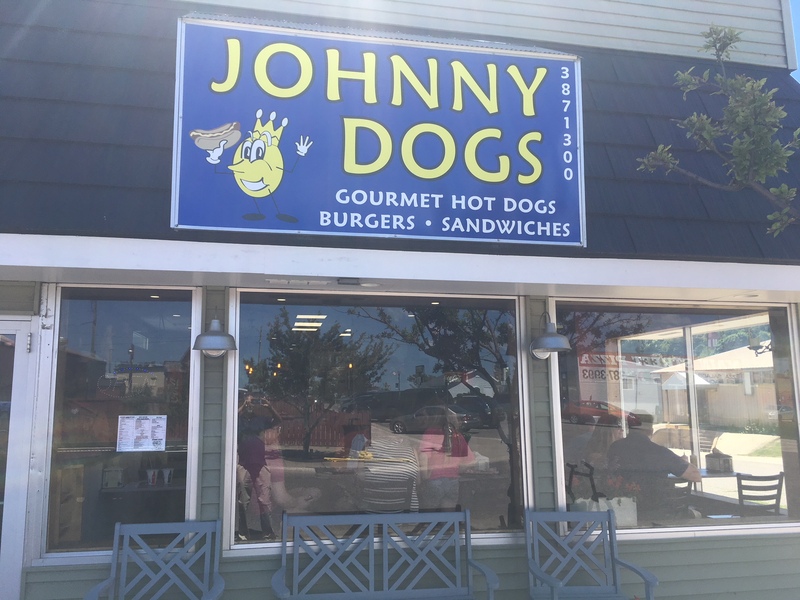 2:04 PM MONDAY…A hungry diner walks into Johnny Dogs, the newly re-opened restaurant on Superior Street in downtown Munising. It’s well after the noontime lunch crush but the place is jammed. 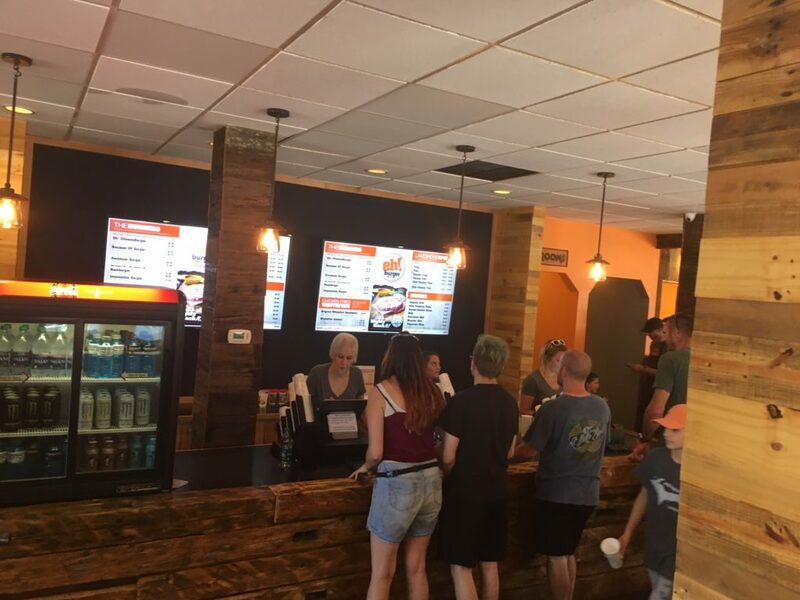 Most of the seats occupied, a line of 10 people waiting to order their meal at the counter. And in the kitchen, open for all to see, owner John Flanders and his crew are working their butts off to get the food out. Johnny Dogs earned a near legendary reputation over the last several years before closing down its previous location last year. It’s re-opened, and the crowds are back. The hungry diner leaves for a while to let the crowd die down. He returns at 2:45. Twelve people are now patiently waiting in line at the counter. The beat goes on. A FEW BLOCKS away, a new entry in the Munising dining scene. Eh! Burger. It’s replaced the old Navigator restaurant located just up the street from the bustling harbor. Nothing exotic here. Just five different burgers, whitefish sandwiches, and a variety of fries and tater tots. Solid, satisfying food. Friendly service, attractive decor–similar to the Roam Inn up the block. No surprise, it’s the same ownership group which is buying up properties in Munising and seems intent on changing the town’s image. Seems to be working. And the food choices in town, thankfully, continue to expand and improve. THERE’S SOMETHING NEW happening at Northstar Academy. On Sunday, of all days. Northiron Church, based in Ishpeming, is expanding to Marquette. Its church in Ishpeming wasn’t big enough to handle the growing congregation which now numbers between 600 and 700. So Pastor Mark Broberg is now leasing Northstar for a third Sunday service catering to residents from Marquette, Harvey and Skandia. 170 showed up for last Sunday’s service. And there’s more. Northiron, an Assemblies of God church, has bought a six acre tract of land just north of the Westwood Mall. They’ll be building a new church there. No word on when construction might begin. “We’re taking steps forward on faith,” says Broberg. 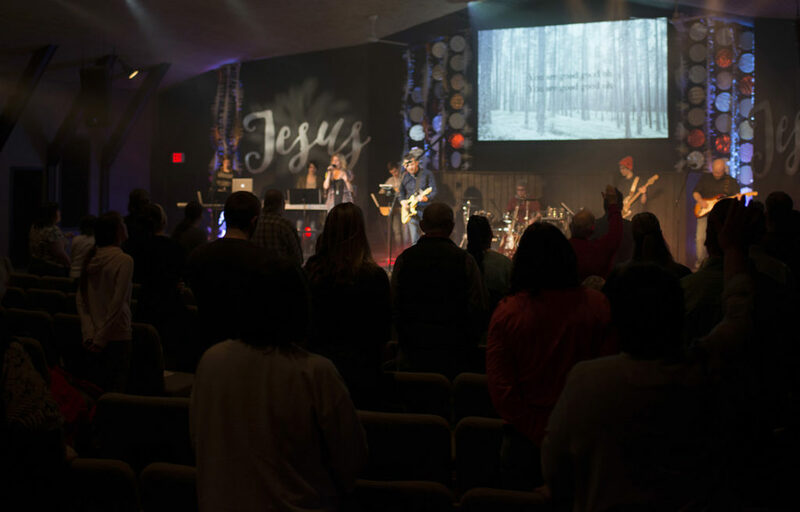 At a time when so many church congregations are facing an aging congregation and declining attendance, Northiron appears to be bucking the trend. Here’s something that may help, compliments of Stang Decision Systems. 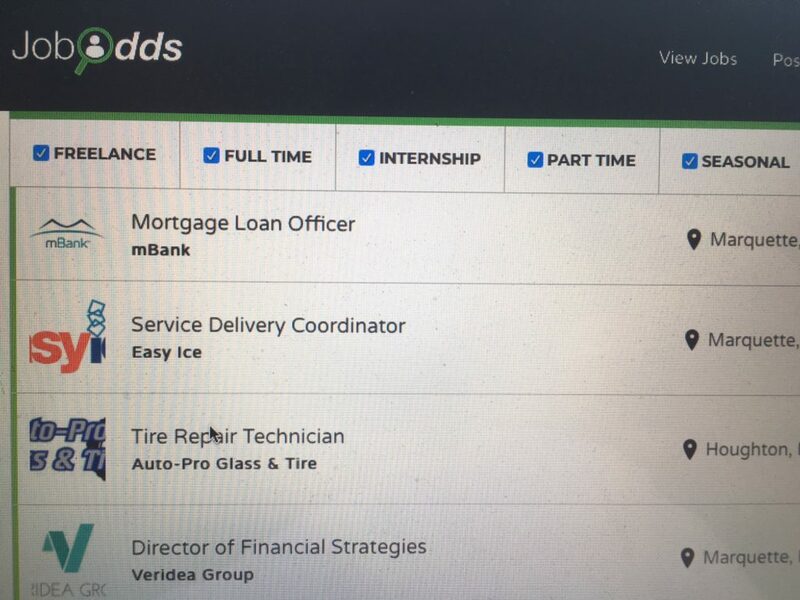 It’s a job board that Stang publishes regularly on Facebook, workliveup.com, and jobodds.com. It’s the jobs available with Stang clients. A recent check found them numerous and varied, and mostly in the UP. Examples: Mortgage loan officer, service delivery coordinator, tire repair technician, director of financial strategies, teller, receptionist, general laborer, manager of substation engineering. And dozens of others. Stang, by the way, is a local firm that helps companies–from Marathon Oil to mom-and-pop businesses–hire the right people for their job openings across the country. And from the look of it, there are plenty of openings now. 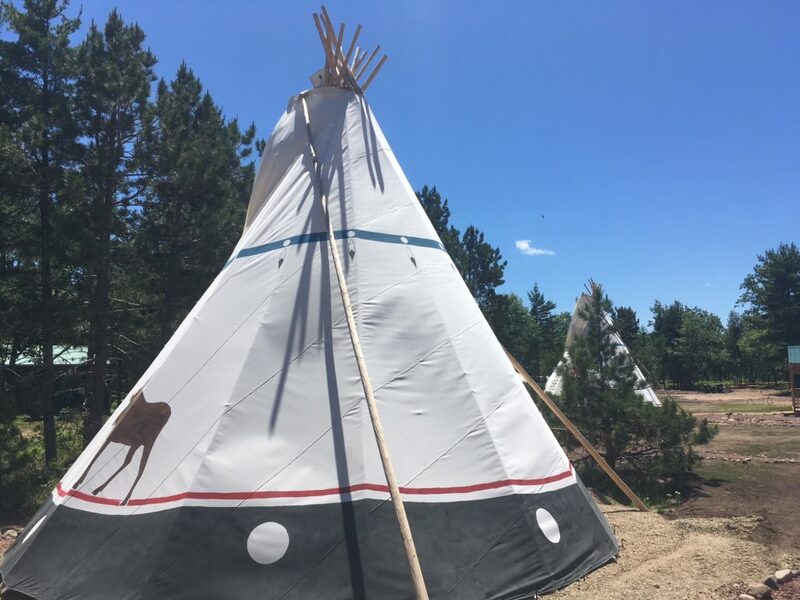 IF YOU’VE DRIVEN to Munising lately, you may have noticed some teepees on the south side of M-28. It’s the brand new Au Train Beach Campground, the latest venture by Bill Duckwall, better known as Uncle Ducky. The campground features teepees, yurts, and “safari tents” on platforms. Everything set up. Beds, tables and lights inside, grills and fire pits outside. 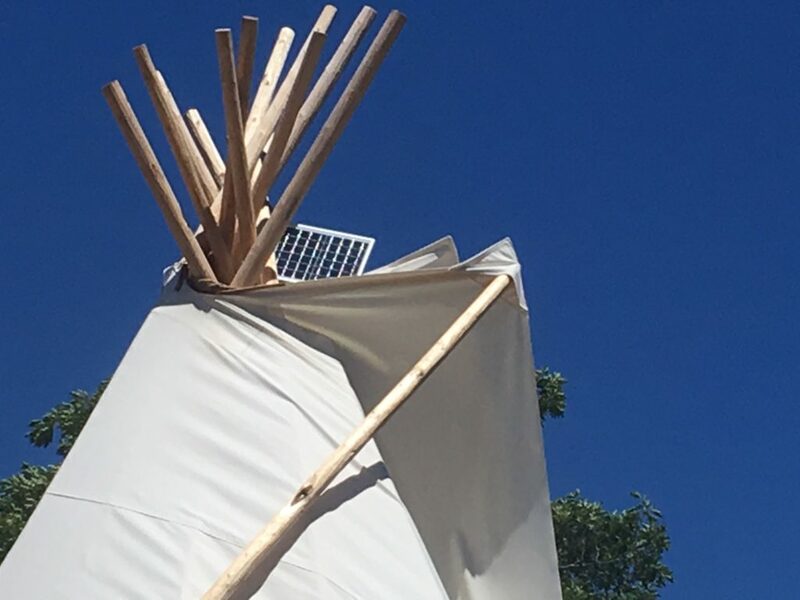 And get this: the lights and the battery chargers in the sites throughout the campground are all solar-powered. It’s an example of “glamping,” a combination of glamor and camping. In other words, a campground with a lot more amenities than you would expect. No RV’s here. No hookups. The campground’s been nearly full since it opened on June 21st (only 52 days of construction), and most of the “glampers” are opting for 2-3 day packages which include kayaking to Pictured Rocks, canoeing on the Au Train River, and a cruise around Grand Island. Not quite as glitzy as Las Vegas or Disneyworld, but it’ll do in a pinch. 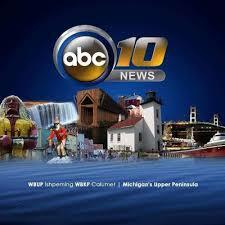 A PHONE CALL to ABC 10 a few days ago. The last news director, Alyssa Lambert, left a a couple of weeks ago. The five remaining members of the news staff carry on, as best they can. Waiting and hoping that station ownership will take an interest in them, spend some money and hire a few more people. Like a news director, for example.